Pulls well and drives nice only reason for sale is due to getting a 335d and having no use for the 330cd anymore. BMW Mv2 alloys are currently on the car. The car is not new so has a few pin dents and scratches and also has the typical Bmw rust patches on the rear arches. MOT till Oct 2019. Trouble getting into 5th gear - all others work fine. Top spec edition. 4 new tyres. Classic vw corrado vr6 up for grabs. (Pictures available) I love this car to bits, but need to part ways as trying to buy a house and need the funds and space! Buy yourself a appreciating classic fun car to love. !!! 07983029330 !!! /// BARRRGAINNN /// HPI CLEAR /// SERVICE HISTORY /// WARRANTED MILES /// ONLY £1995 /// PX WELCOME /// BARRRGAINNN /// /// LEATHERS /// COUPE /// 6 SPEED DIESEL /// /// HPI CLEAR (NO RECORDED ACCIDENTS) SPARE KEYS SERVICE HISTORY WARRANTED MILES LONG MOT PART EXCHANGE WELCOME /// /// ALLOYS SOUND SYSTEM LEATHERS HEATED SEATS TRIP COMPUTER RANGE INDICATOR PLUS MORE /// /// SELLING CHEAP, CALL ANYTIME THANKS /// /// 07983029330 PART EXCHANGE WELCOME ///. VW Beetle with great body work - see photo's which has been looked after very well by its previous owner. Only done 101,000 miles with full stamped service history, 2 keys and all manuals. Needs a little TLC with EML and Air Bag light on the dashboard. 2010 BMW 123D 2.0 204HP COUPE MANUAL IN BLACK. MOT Until: 28th June 2019. Usually wear will be seen across the seats (particular the driver’s seat pillar) and door trims. If you fail to do this the car will not necessarily be held for you. Audio : Sony mp3 ,usb, aux FLY subwoofer ( original stereo also will be included). 6 speed manual. CSL Spoiler and LED back lights. Good on fuel (diesel). It is the non fap model so no diesel filter to worry about and it is the 130bhp model so can shift when needed. The car has done 83,000 miles which is low for a 1.9 diesel of this age and it drives spot on. For sale my Corrado in Aqua blue.Running although has a little coolant leak and sunroof not working.Oz alloys with 2 spares and loads of extras.New adjustable suspension fitted and also have the old suspension ,new cobra alarm although passenger side is manual open only,new heater matrix,new radiator,new coolant expansion tank,and new fuel pump,and new full scuttle New bonnet sound proofing.No mot at the moment due to ill health..Plus Extras.. Struggles To Start But Once Started It Runs Rough. Will Need To Be Recovered / Trailered Away. BMW 320d m sport coupe 2009. 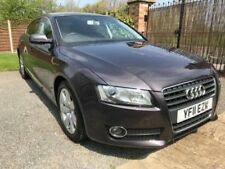 I have owned this car for last 5 years and can honestly say been best car I’ve ever owned I have not had any problems.its in superb condition I have really looked after this car. The Big Differences of Having the ZETEC model over normal is MOT UNTIL OCTOBER 2019. Mot is not due until OCTOBER 2019. 2 keys, Mot Certificate, Owners Manual In Pouch. and Service book. Low mileage & popular FORD KA 3 door in LOVELY PANTHER BLACK COLOUR. My beautiful red BMW 125i coupe. Its only covered 30,000 miles. Its the 3.0 petrol, straight six, naturally aspirated engine which sounds amazing. Very good condition inside and out, drives perfectly. Golf mk4 1.9 tdi 5 speed. Mot till sep 2019. See the pictures. And have dents on passenger side. Car need a good clean. New listingBmw M3 e36 coupe. 1995 3.0L Avus blue, black Vader. Coupe in avus blue. For sale due to change of circumstances. BMW M3. 3.0L (last of the single vanos). 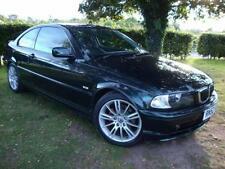 Superb example of the very rare E46 330 individual. BMW Z4 COUPE E86. 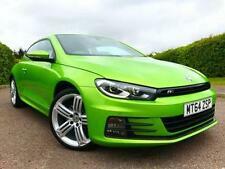 19" Alloy Wheels with very good tyres. Fronts are new, rears still have loads of tread depth. Finished in Montego Blue ( the best colour option). Excellent condition withno expense spared maintenance and very low mileage for age. For sale is our pride and joy, 2000 year Ford Mustang GT; 4.6-litre V8 engine, 260bhp and 302lb-ft of torque, left-hand drive. MOTd until end of July 2019. Paintwork and general body condition is pretty much flawless. Up for sale is my much loved BMW 320Cd. The car is a very clean example which can be seen in the photos, of course a car of this age is not perfect with a couple of very small imperfections in the bodywork and paint but nothing major. Old, rusty as shown but starts and runs as you would expect this type of engine to do so, has crack in screen and sounds as if it is sucking a little air. MOT till 05/2019. BMW professional radio with single CD player, MP3 player. Anti - Whiplash front head restraints. 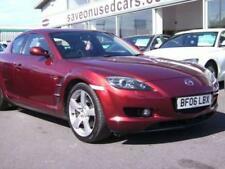 Beautiful car immaculate condition inside in out, leather interior. Start stop button. BMW 120d 3 door E81 Grey, sold for spares or repair. There are 2 keys, half-leather seats, the suspension remains firm and the Air Con blows cold. The car has never been involved in any accidents apart from a few supermarket trolley scuffs etc. Great looking bmw coupe in silver. Good luck 👍. No issues at all as it’s always been very well looked after.